About a year ago Iberia’s customer care and ticket sales offices at our Madrid-Barajas hub launched a pilot turn number scheme which has now been extended to all the customer care islands in Terminal 4. 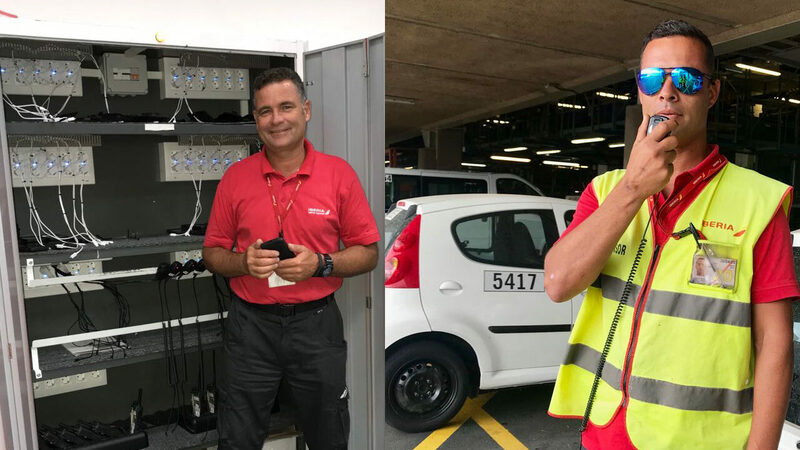 The new system has brought an improvement to the service given to our customers at the islands, optimising waiting times and, as Airport Innovation Manager Fernando Sánchez explains, “more efficiently ordering turns and keeping the zone clean and more orderly, with no need for forming queues”. More rational use of resources. Real-time response to variations in passenger traffic flows. The new system is a simple one. Customers go to a digital kiosk where after specifying the service needed they are issued a ticket with their turn number. The system keeps our Customer Care personnel informed at all times of how many customers are awaiting each of the services, and by pushing a button they can begin calling the numbers. A display screen next to the kiosk shows the number and indicates the counter to which customers should go when their numbers are called. This information is also supplied in audio. With the help of experienced Customer Care staff, a priority system was also developed. The system gives priority to Premium and/or Business Class passengers (airside islands), families with children, and people with reduced mobility. Antonio Rodríguez Aranda, Senior Passenger Care Manager at Madrid-Barajas, notes that “to the customer’s total travel experience we add a moment at the islands which generates a positive impact on customer service perception by establishing parameters to ensure faster and more efficient attention”. NET building: one is located at each of the transit passenger islands in K zone and H zone, and a third is adjacent to the Customer Care island in the Arrivals hall. SAT building: two devices are located next to the Customer Care islands in the Boarding zone, and a third is on level +2 at the arrivals counter. This initiative comes within the framework of a broader Airport Division plan to improve operational and customer care procedures with modifications developed by mixed teams.